TORONTO -- Critics of a proposed high-tech neighbourhood planned for Toronto's waterfront called for more transparency in the decision-making process amid mounting concerns over how the companies involved with handle privacy and data governance. At a public meeting on the project Saturday, Bianca Wylie, co-founder of the advocacy group Tech Reset Canada, said it would be valuable for the public to be more in the loop as a draft of the plan is being finalized. “Can I just say that we, as the public, would love that rigour, that planning,” she said during a question and answer session. 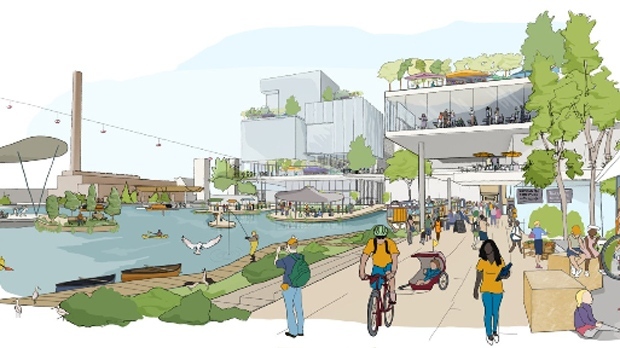 In October 2017, Waterfront Toronto announced it had chosen Google affiliate Sidewalk Labs to design a high-tech neighbourhood for the Quayside development, which is along Toronto's eastern waterfront. The updated draft of the project, called the Master Innovation and Development Plan, is expected to be submitted to the agency and all three levels of government for review in January 2019. Waterfront Toronto's chief development officer, Meg Davis, said more detail, including data governance, will be included in the master draft, but said the document must be approved by the organization and government before it is released. 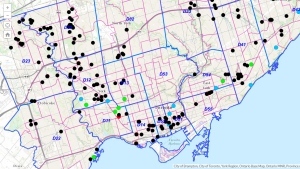 The project, which features environmentally friendly design and innovative infrastructure, has been marred by questions over how data will be collected, kept, accessed and protected since it was announced. Critics have complained that few details have been shared on data governance, and questions continue to circulate around privacy and ownership of intellectual property, even after Sidewalk Labs released its privacy proposal in October. The proposal shows that Sidewalk Labs does not intend to own the data it gathers in public spaces. The company has said an independent organization will be set up, called the Civic Data Trust, which will set the rules around data use, but the plan mentioned little of intellectual property. A number of experts have stepped away from consulting roles in the project due to these concerns, including Ontario's former privacy commissioner Ann Cavoukian and TechGirls Canada founder Saadia Muzaffar. The plan has also faced criticism from Ontario auditor general Bonnie Lysyk, who said in her annual report that the partnership between Waterfront Toronto and Sidewalk Labs was rushed. The report, released last week, also said stakeholders in the project should conduct additional studies to decide whether increased government oversight is needed. “It was not a rushed process,” she said. At Saturday's meeting, participants were repeatedly told data collected through the project would not be sold or used for the purpose of advertising. The event did not present new information on the neighbourhood, but was a chance for the public to give feedback in a series of discussions that focused on digital governance, transportation, sustainability and affordable housing. “What you're going to see...is nothing like science fiction like the Jetsons or some kind of dystopia like Black Mirror,” Jesse Shapins, director of public realm with Sidewalk Labs, said at the start of the meeting. During a roundtable on digital governance, participants were asked to discuss whether they felt comfortable in scenarios where different kinds of data might be collected from them. 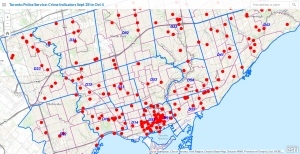 The cases ranged from information collected on how many people are using a bike path or a parking spot to “licence plate readers” to ensure traffic laws are being enforced. Some participants raised concerns about police being able to access data, while others expressed confusion about the language used in the examples. Muzaffar, of TechGirls Canada, raised concerns about what she deemed a “hurried” timeline for public education and engagement on the project. Waterfront Toronto and Sidewalk Labs repeatedly stressed that nothing has been approved yet and that feedback from the public will be taken into consideration for the master draft.